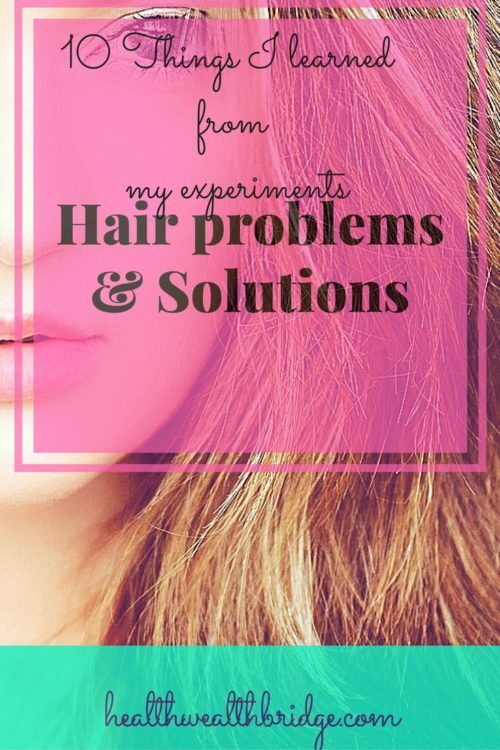 Hair problems and solutions are a much researched subject.Dry hair ,frizzy hair,hair breakage,limp hair . The many hair problems make the hair care industry a billion dollar business. The more things you try ,the worse it can be for your hair.Most of the time, it’s the simple solutions that can solve your hair problems. That’s what Dr.Richa found when she went on her “hair care” journey. 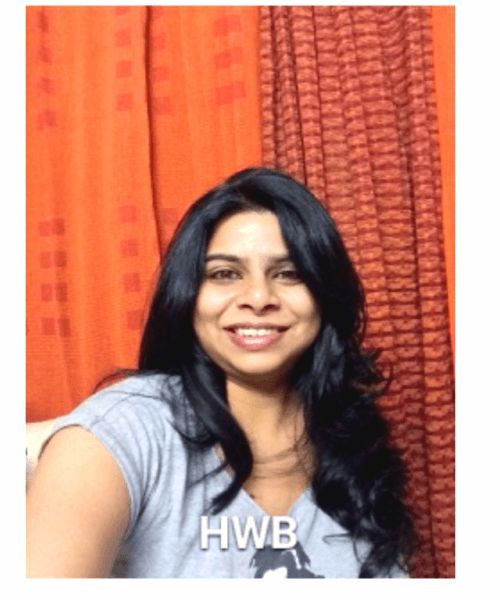 Dr.Richa Mina is a friend .She loves writing about lifestyle products which work for her. Some people manage their hair.My hair managed me.It actually had a life of its own.It styled itself,went wherever it wanted to go and just refused to behave. That I had messy hair is an understatement. Like everyone else with difficult hair,I had to deal with dry ,unruly hair daily.It was a battle I never won. My hair used to give me so much trouble that at times I felt that short haircuts were going to be my best choice. As you can see from my pic I’ve been cursed with a mass of curly hair with attitude.But if my hair was tough,I was tougher. I did everything the hair dresser suggested to get my hair under control. I experimented a lot.And it was really a lot. First phase it was coloring, streaking ,straightening. These experiments looked great on me for a few months .But then the story repeated otself.The battle with my hair started again. This time ,the problem ,was more vicious.These beauty treatments made my hair texture worse.It was dry ,brittle and unhealthy. So to make my hair texture better my “hair consultant” suggested I go for for re-bonding, smoothening, keratine therapy . This helped me for some time .But this too was not perfect solution for my hair. When my re-bonded hair grew the roots were curly. That looked horrible. When half of your hair is curly and tips are straight…. it’s not a great look.TRUST ME ON THAT!!!!! I’ll tell you about my slow journey to beautiful healthy hair. This is to help all those who are suffering same way that I did. After a long series of wrong decisions, wrong products I started with changing small things to help my hair regain its glory. 1)First thing I did was stopped all the random products advice to me by all dear parlors and hair saloons like lo’real, tony and guy, Schwarzkopf. TRESemme . I went back to the last shampoo ,which suited my hair best .It was Matrix Opticare . When my hair fall reduced a bit and my hair got better. I tried the same thing with my conditioner and switched it. That’s when I realized that , I use to change shampoo and conditioner together . Which most often , harmed my hair. Takeaway :It’s always better to change one hair care product, at a time. 2)Secondly hair serum is a must. No matter how much hurry you are in, don’t miss hair serum especially after hair wash. It helps detangling your hair and smoothening them too. Try Tony and Guy Hair Serum . 3)Use wide toothed comb on hair first . It detangles the hair so they don’t break while combing. Use which ever oil you want .But oil your hair ,before washing. Best ,if you can keep it overnight.Otherwise keep your hair oiled for at-least an hour before washing.Put a hot toil over your hair .That helps in quick absorption of the oil into your hair. Try an oil massage ,at least once a week. 5)Keep conditioner in hair for at least 10 min. If possible apply hot towel on head after with conditioner it does wonders to your hair . It leaves the hair fragrant and very soft to touch . Get your hair trimmed once in 6 months. It reduces split ends and removes the brittle and damaged ends. 7)If your hair is dry, then try using hair spa as conditioner once a week and leave it on for 10-15 min before washing. I use Lo’real Hair spa . 8)Don’t use a hot blower, straightening iron, curling rod etc. daily. Heat damages hair . Use them as a resort for special occasion. 9) Keep your hair tied while sleeping, open hair tangles more so braid them. 10)At times Fashion demands hair coloring or re-bonding don’t deny yourself and go for it if you want to. Just keep in mind “don’t undergo too many chemical treatments WITHOUT A GAP OF AT LEAST 4-6 WEEKS” it gives your hair ample lot of time to recover from earlier damages. Best of luck. Take one step at a time. It’ll take to near your goal before you even realize it. Sign up below and get access to the diet plan for healthy hair in my VIP Library. Agree with her tips. Hot oil massage once a week is a boon for hair and does away with most hair problems. I try to practice it and have seen wonders when I make it a regime. I’ve never experimented with my hair – no colour, straighteners, etc. But my hair has thinned with time. Oiling is a must but I need to start following a conditioning routine. Great tips. Sometimes nutrition, stress and pollution affect your hair in adverse ways too.Oiling is like hair food. It’s really great.Atleast for most Indian hair . I consider reading this post as a sign from the Gods! 🙂 I’m going to follow these tips and wait for a miracle! My hair is thick but fine so I’m going to try some of these. It tangles so easily. I needed this help! My hair is so, so dry! I’m going to give some of these things a try and I hope it helps! I am sure they will work great with dry hair. Great tips. I used to experiment with hair products but noticed that this practice did too much harm. Now I rely on the same brand of shampoo that does wonders for my hair. Thanks Izabela,that’s what we found too.Too much experimentation with hair causes havoc. My hair is SOOOO delicate. I typically manipulate it as little as possible. I stick to a lot of protective styles and when I’m not in those I only apply heat to my hair 2 times/month! Yes that’s a good idea to limit heat to hair.One of the worst thing is that the hair looks great after heat application initially,but later looks terrible. Great post! Lots of great solutions and tips. Great tips shared! My hairs are very thin and frizzy. I apply shampoo and conditioner at least thrice a week but I get lazy applying hair oil. Now, I need to follow your instructions and also I will try hot towel as it sounds great for a quick absorption. Thanks for the tips! Yes Ana the hot towel is superb. It decreases the ickiness of Oiling .Really helps the hair absorb the oil and makes it look great. Which oils do you recommend? I use oils too. I’ve tried so many products on my hair too and I keep trying new ones. I have used coconut oil+/-almond oil forever.They are heavy oils so really help to nourish the cuticles. A hot oil therapy after oil application works great for me.Have you noticed the hair serums are actually different types of oil. Good solutions especially the regular hair trimmings. That makes anyone’s hair look great all the time! Yes Beth hair trimmings are useful to make your hair grow. Yes even I have wavy hair and did try straightening with heat.Didn’t like the effect on my hair on day 2 (more frizz) and really avoid it now. sadly I have the opposite issue, flat thin hair, and kids. Ponytails for me! I agree with hair oil! It really helps my hair. Thanks Kate.Hair oil is awesome.